A number of schools in Michigan, Deleware, and Ohio have banned food deliveries during the school day from companies like Grubhub, Doordash, and Uber Eats. Diane Blain, spokeswoman for Chippewa Valley Schools in Macomb County, said that the district’s two high schools banned the practice. While some schools have formal bans, others are discouraging the deliveries. Nearly all face an explosion in interest in food deliveries, coming from ubiquitous cellphones and the fast-growing popularity of food delivery apps. Even elementary school students get pizza delivered for lunch, Jeff Hueter, assistant manager of Jet’s Pizza, told the Free Press. “The parents will call and say my kid’s lunch is at noon, can you deliver a pizza to the office and maybe throw in a bottle of water?” Hueter said. Parents will pay using the Jet app or with a credit card. Teachers have been known to order a pie for lunch as well. Two schools in Wilmington, Delaware, recently announced bans on food deliveries, also citing safety concerns. Dale Franklin, superintendent of the district, said that delivery cars would converge in front of the school around lunch time. “I just think it creates more of a safety risk,” he told Fox 29. A similar ban was being enforced in Ohio over food deliveries. Copley Fairlawn Schools Superintendent Brian Poe said that the phenomenon of deliveries is new enough that there isn’t an official board policy, but that the deliveries violate an existing district policy that states unauthorized visitors are not allowed on school grounds. “Our concern is allowing unauthorized folks on property who are going to deliver a bag or a box. We take safety and security very seriously in our district, so we want to make sure that our students are safe at all times,” Poe told Fox 8. Some students weren’t pleased with the bans. “That’s ludicrous, honestly, in my opinion, because they’re not coming on to do anything threatening, except deliver food,” Rocky Nguyen, a student, told Fox 8. … Sagar Yarnalkar and Anurag Gupta and is based out of Bengaluru. The company is backed by Sequoia India, Matrix Partners and Saama Capital. Bengaluru-based milk & grocery delivery start-up DailyNinja today announced that the company completed more than 2 million orders in the month of March 2019. This is a major milestone in the hotly contested space of hyperlocal deliveries where DailyNinja has established a clear lead over its rivals. Established in late 2015, DailyNinja has seen the scorching pace of growth in its daily deliveries and has raced ahead of others in the market. DailyNinja currently does 70,000+ deliveries per day and operates out of six cities viz Bangalore, Hyderabad, Chennai, Mumbai, Pune & Mysore. It works on a subscription model that delivers items ranging from milk, bread, eggs & other breakfast items to vegetables & groceries as well. DailyNinja.customers can order all their household needs by 11 pm and get their orders delivered by 7 am the next morning. Timely & reliable deliveries and ease-of-use of the platform for the regular customer has made DailyNinja the go-to choice for the milk & grocery delivery needs of the customers. “We were doing about 17k orders a day 12 months ago. We have grown 4x over the last year to touch 70k orders a day and it has been a tremendous effort by our team. This has allowed us to widen our margin as the largest player in the country in this segment. Our endeavour is to bring the DailyNinja experience to customers in different parts of the country & transform their milk & grocery buying experience,” said, Sagar Yarnalkar, CEO and Co-founder of DailyNinja. The company hopes to provide the customers with greater choice & flexibility in their daily delivery needs and replicate the success that it has enjoyed in rest of India till date. The competitive landscape of the global Third-Party Food Delivery Service market has newly published by Report Consultant to its vast database. The informative report of the global market has been aggregated on the basis of recent trends, technological advancements, market size, shares and pricing structures. It offers a fundamental overview of the market to understand the dynamic aspects of the market. Investing in delivery can be a very smart choice for any restaurant, especially third-party. Consumers love the convenience of ordering third party delivery, too. In fact, 87% of consumers say third-party restaurant delivery services make their lives easier, and 31% use the services at least twice a week. Also, third-party apps provide operators with a market share that they might otherwise not have. 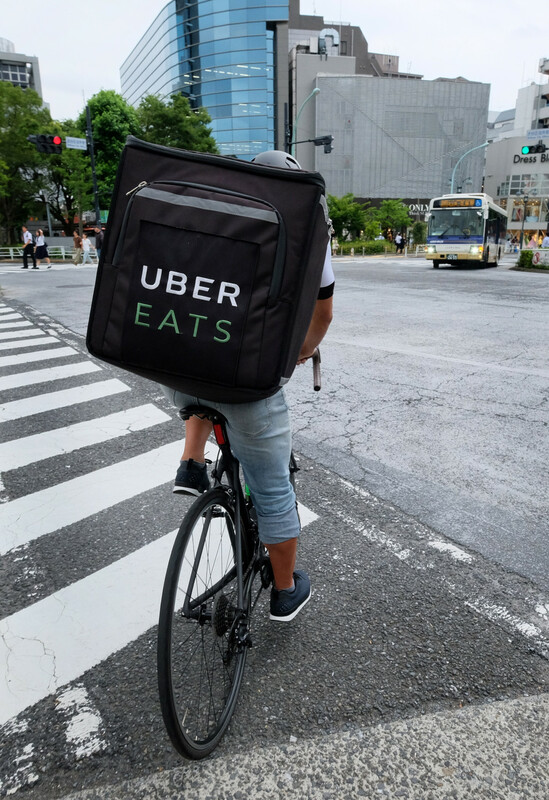 UberEats reported over 8 million users, providing plenty of opportunities to gain new business. The global market forecast till 2026 year. To offer a complete comparative study of global Third-Party Food Delivery Service market different global regions such as North America, Latin America, Asia-Pacific, Africa, and Europe. This research report offers market segmentation for getting to know and explore more global clients across the world. Furthermore, different sub-segments have been mentioned in the research report. The worldwide statistical surveying report highlights the risks and challenging factors which has been faced by different stakeholders and new entrants in the Third-Party Food Delivery Service market. Additionally, it offers a closer and analytical look at numerous companies that strive for the highest market shares. The report also elaborates on the global opportunities and ways to enlarge the businesses globally. It presents the scope of this global market in the developing and developed regions. It also covers how the concept of this Third-Party Food Delivery Service market is giving new opportunities for increasing global customers rapidly. This informative report further makes use of graphical presentation techniques such as graphs, tables, charts and pictures.